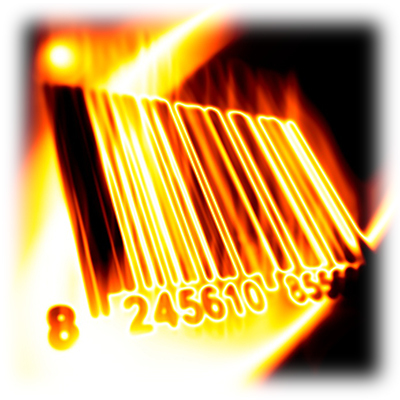 Blazing barcodes at your fingertips. blazin' barcodes is the easy answer to your barcode printing needs. Simple, effective, and easily customizable, this utility allows you to print barcodes for items at your store. Through use of label files, you can customize the output of your barcodes to best fit your printing needs. All of your barcodes are stored for later use, giving you a robust label-printing solution at a low price.